Chances are you've seen Chef Molly Frizelle at the Salem Saturday Market with her delish Asian Fusion lettuce wraps (ranging from mahi mahi to five spice turkey). But what to do during the work week!? 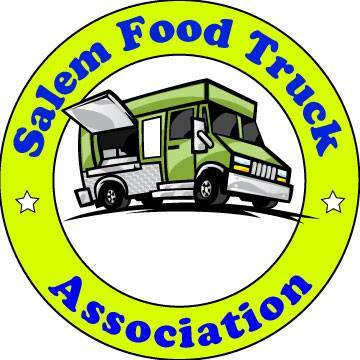 Have no fear, she is running a cute and sparkling little food cart just a minute from downtown Salem! You'll find her at 1330 McGilchrist St S.E. Salem, OR 97302 (next to Freshmart) from Monday through Thursday. I paid her a visit with some lunch pals from where I work downtown this week. If you aren't familiar with her wares, check out the menu at http://vivaciouseats.com/Menu.html and catch her at the Saturday Market day after tomorrow! At her food cart, you'll have a choice from cold lettuce wraps, hot lettuce wraps, shrimp and green onion pancakes, Korean tacos (beef bulgogi or spicy pork) or a weekly lunch special. Most of her offerings are $7-8. All of Molly's offerings are full of flavor, without being overbearing or heavy. It tastes great, and FEELS like good, vibrant fuel for your day. I went with the Sandwich special of the week, an Italian sub with chips for only $5. Simple, fresh, light and cheap. That fit my bill perfectly. A nice mix of Italian meats on a seeded sub bun was piled with fresh fixings (lettuce, red onion, peperoncinis, Italian dressing) and while it was a mess to eat, it was good to the last bite... which was a mix of fixings scooped up with a fork. Support local micro-eateries! It's a take away option, though, as the area has no seating. And with Freshmart closing, I'm not sure if she'll change location -- watch her web site for updates. Great Job Molly!! We love your food!!! Thanks lavachickie. Checked it out today. Bulgogi Tacos. Who'd a’ thunk it? Go easy on the Sauce until you're sure what you're getting into. I loved it. The food is always good and fresh, open for lunch from 11:00 am for lunch. Stop by for lunch, address is 1330 McGilchrist ST SE Salem. ( In the parking lot of Freshmart Produces )Can't miss the trailer.